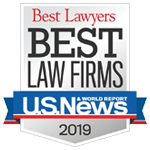 Dow Golub Remels & Gilbreath, PLLC has years of experience involving the interpretation and analysis of insurance coverage issues for our clients, both carriers and policy holders. Insurance coverage is purchased by our clients for all aspects of their business and personal lives and the Firm has expertise regarding coverage issues in the areas of general liability claims (automobile and premises liability), environmental and toxic tort claims, construction liability, and others. We also assist clients in finding the right coverage for their needs, in light of anticipated risks, negotiated contracts, and fields of endeavor, through reputable carriers and agencies.